TRI | CHECK | DO: Oh Ok. It’s March. Anybody else feel like this?! I recently shared this image on Instagram and it seems I’m not alone! So it’s March. Three months out from race day. 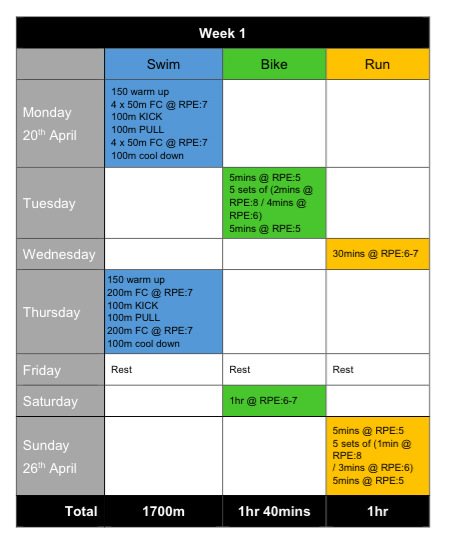 Sunday 14th June, 2015, I take on my first ever triathlon. Windsor Triathlon. One month on from my last post updating you on my swimming, a lot has happened. A major goal for me was to swim one (non stop) length of breaststroke & freestyle BREATHING. I can now share with you that I can do BOTH!! It’s exciting, believe me! It’s major! My teacher Kat, went on holiday for a month and I was concerned about having a new teacher but Bartek, has been amazing! Kat’s the queen of breaststroke and Bartek is the King of front crawl (both of Strictly Swimming) so I should be heading into my triathlon strong in both! TO DO: Schedule in open water practice. The season starts in April but it will be cooooold! So maybe around early May?! I am now the proud owner of my very own wetsuit though ready for the cold waters! I tried it on one evening and it wasn’t as tough as I thought it would be! I also picked up this little number in the Sweaty Betty sale! It’s a pretty looking tri suit which could work perfectly for me on race day. I’ll put it through some testing before then to see how it feels but it was a bargain! The only other kit I would love to get my hands on are some trainers (maybe the new Adidas Boost?! ), a kit bag and a few bits for swim training – a mini kick board, pull buoy, fins and a garmin that can track my swim workouts. Oh, then a GoPro wouldn’t go a miss! Anything else I am missing?! You can read my latest running update in my write up about Brighton Half Marathon! As for cycling, I’m currently in the middle of moving house so my bike is temporarily in storage! In the meantime, I’ve been hitting up indoor cycling classes when I can at Psycle London! Here’s to the next month of training! Are you training for a triathlon?! Any tips for me?! Oh how fun! I remember my first tri 🙂 Definitely get a race belt for you run bib, so you just have to clip it on around your waist instead of fumbling with pins in transition! For shoes I got Pearl Izumi tri shoes, so comfy and all you have to do is slip them on and pull the elastic lace at the top to tighten them! race belt – check! picked one up when I did my duathlon last year! …also have elastic laces on my fav running shoes! I use them day to day….just love the fact I don't have to think about my laces! …I'll check out the Pearl Izumi shoes though! Thanks for the tips! Definitely recommend elastic laces for your shoes! And make sure you're stocked up on the fuel you like too 🙂 That trisuit is gorgeous! If you fancy a spinning buddy sometime let me know- I'm going to Cyclebeat tonight with ClassPass!